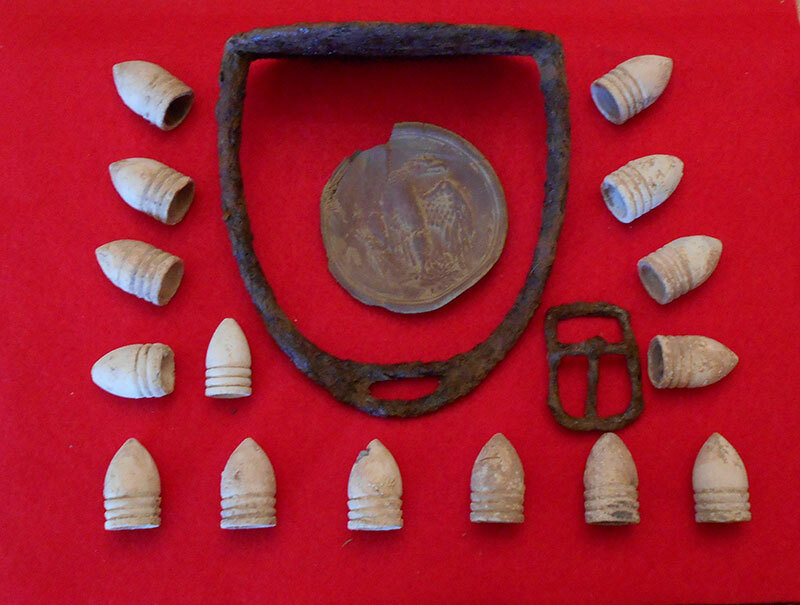 We were hunting (end of January) in a late 1700s pioneer site in Tennessee and found a few relics. I was using my F75 Enhanced detector and it detected a good target in the silver range at 7-inches. I unearthed this silver Spanish "piece of eight" Reale. The assayer's "P' initial indicates that it was minted between 1776-1824. There would have been 5 other pieces this same size cut from a whole eight Reales about the size of a half dollar. 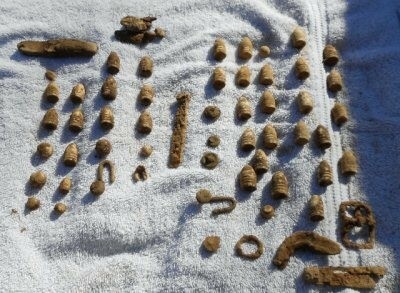 These relics were dug with my F75 at a U.S. picket post in Tennessee. In early December, Doug Holder, Josh Tyree, and Quindy Robertson known as the “Tennessee Trio” put their F75s to work in a Tennessee U.S. Civil War Camp. This site had been discovered in the 1970s but the landowner had stopped relic hunting over 10 years ago. It had been hunted extensively according to some local veteran hunters. The four picture display some of the 400+ relics they have recovered with their F75s. 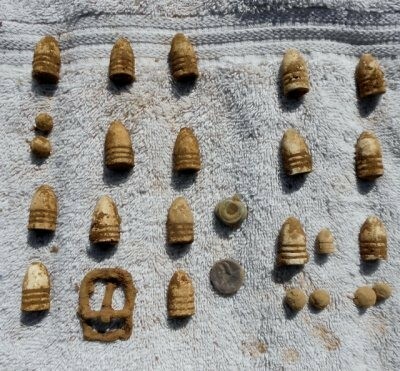 The odd thing about this camp is the extraordinary number of Williams Cleaner bullets they recovered there. 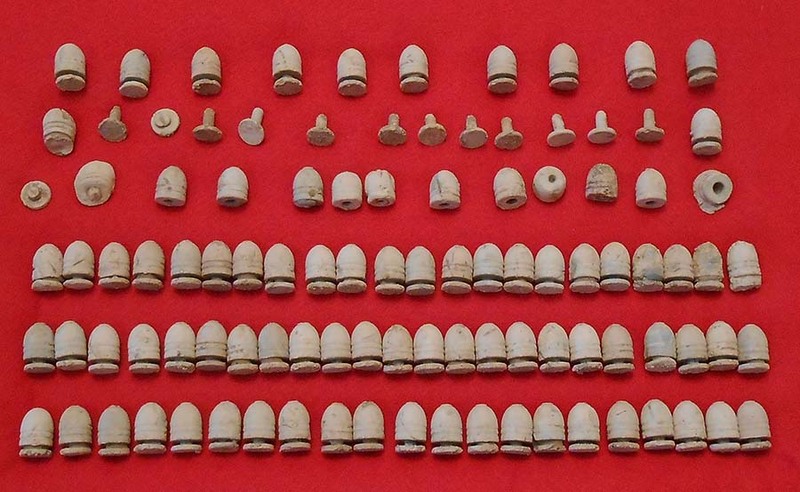 The number of Williams Cleaner bullets represent about 40% of the relics dug to date. Watch for my article concerning the Trio hunting this camp in an upcoming American Digger Magazine article this fall and you can watch 3 hunts at the “Williams Cleaner Camp” by typing in “Quindy Robertson" on YouTube. may be the reason why we have been successful there. Quindy Robertson, Doug Holder, and Josh Tyree are known on internet relic/treasure sites and in relic hunting magazines as the “Tennessee Trio”. 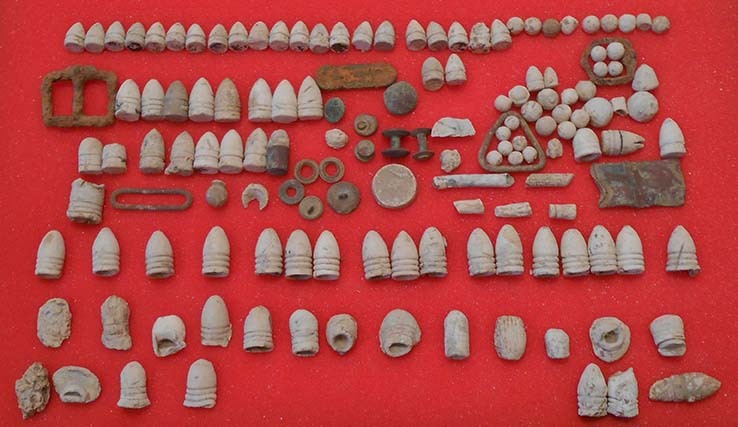 During February 2012, they hunted a 1862 U.S. Civil War Infantry camp and recovered the relics shown with their Fisher F75s. This was not a virgin site and had been searched by many hunters past and during present day. Quindy, Doug, and Josh all highly recommend the Fisher F75 for relic hunting. Look at what 2 - F75's did in 3.5 hours at a U.S. CW Infantry camp in Tennessee. You have an outstanding product. Thanks, Quindy. My name is Quindy Robertson and I live in Tennessee. 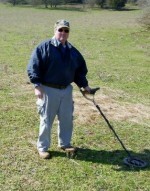 I bought a Fisher 1266-X in 1995 and began searching for Civil War relics. In July 2009, I upgraded to a Fisher F75. I have been very impressed with the lightweight unit, search speed, easy learning curve, battery lifeand the ability to separate many small iron signals from brass and lead. 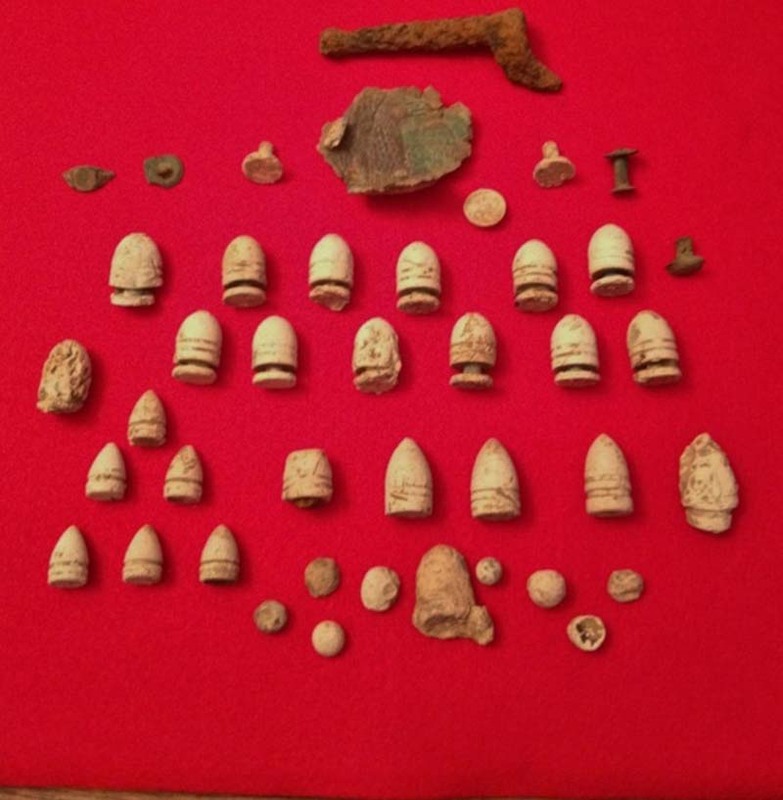 This last feature has opened up a whole new opportunity to go back and hunt previously “hunted out” sites with Civil War relics where older technology detectors would just blank out. You may have read my articles in Western & Eastern Treasures Magazine, American Digger Magazine and North South Trader’s Civil War Magazine in the last year. 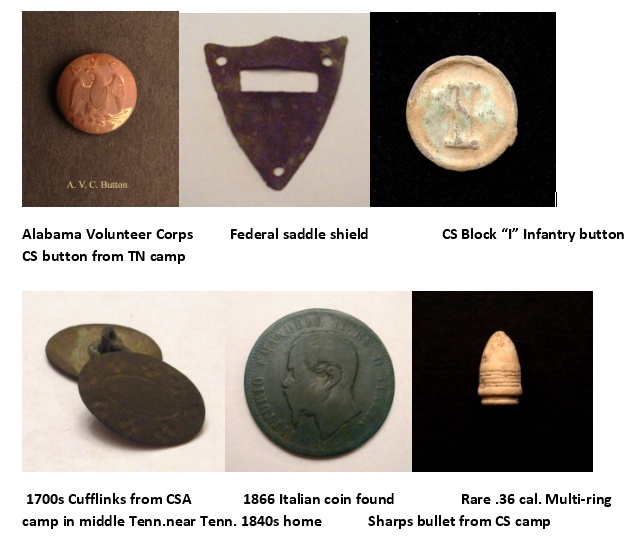 Here are examples of six (6) of my finds recovered with the F75 since December 2009 that were pictured inNorth South Trader’s Civil War Magazine and/or American Digger Magazine. I highly recommend the Fisher F75 for relic hunting. 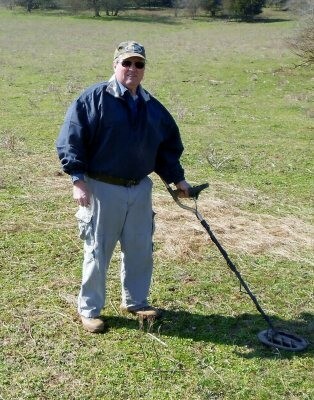 I am and have been a strong Fisher Fan - I dug a VERY RARE (only 20 have ever been dug) Tennessee state CW Veteran's pin with the old 1266-X detector in Nov. 2008. It was selected as a Best Find of 2008 by Western Eastern Treasure Magazine.